This is Master of Pharmacy project on "solubility and dissolution enhancement of anti-diabetic drug using a noval surftab system" and describes an approach to enhance the Solubility of gliclazide by using solid dispersions (SDs) in polyethylene glycol 4000 (PEG 4000). Solid dispersions were made by a solvent-melting approach and Solubility determinations were performed in triplicate according to the method of Higuchi and Connors. The solubility of gliclazide is 0.86 mg/ml in water but after the addition of different concentration of PEG 4000, the increased solubility of gliclazide was observed. You can also Subscribe to FINAL YEAR PROJECT'S by Email for more such projects and seminar. Gliclazide is a 2nd generation hypoglycaemic sulfonylurea that is useful in the treatment of type 2 diabetes mellitus. It shows low aqueous solubility and dissolution rate and often shows low and irregular bio-availability after oral administration. The solubility of gliclazide is 0.86 mg/ml in water but after the summation of different concentration of PEG 4000, the increased solubility of gliclazide was seen. Further it was noticed that the solubility was increased by tablet formulation from solid dispersion. The main conclusion of this article is that the solubility of gliclazide can be enhanced in Solid Dispersion with PEG 4000. 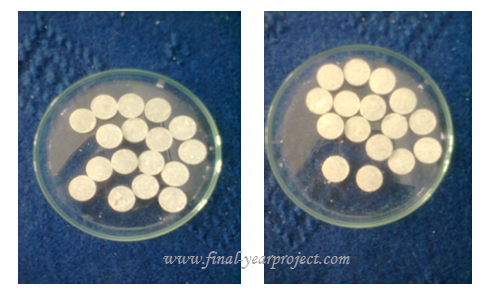 The solubilization effect of PEG 4000, reduction of particle aggregation of the drug, absence of crystallinity, increased wettability and dispersibility, and alteration of surface properties of the drug particles may be responsible for the enhanced solubility of gliclazide from its Solid Dispersion. Gliclazide is an oral antihyperglycemic agent used for the treatment of non-insulin-dependent diabetes mellitus (NIDDM). It relates to the sulfonylurea class of insulin secretagogues, which act by stimulating β cells of the pancreas to release insulin. Sulfonylureas increase both basal insulin secretion and meal-stimulated insulin release. Medications in this class differ in their dose, rate of absorption, duration of action, route of elimination and binding site on their target pancreatic β cell receptor.